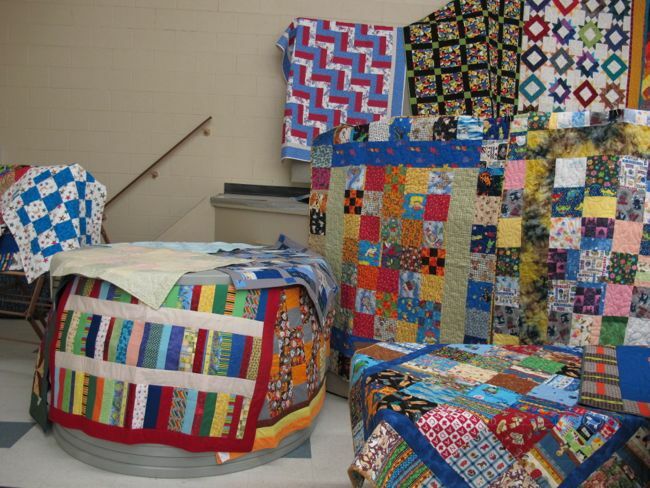 The quilting group is meant for those who are interested in quilting, both by machine and by hand. We enjoy learning new techniques and sharing our skills and expertise with those who are new to quilting. Meetings are held every Monday at Rosscarrock Community Centre (4411 - 10th Avenue S.W. ), from 9:00 a.m. to 4:00 p.m. except provincially recognized holidays and July and August. "All fibre arts are welcome at all times!" Feel free to bring quilting, needlework or rug hooking.